A value-priced way to sample CND® Liquid & Powder products for the first time and add revenue-building services to your salon menu! All the essentials you need to get started with the RETENTION+® system. A collection of our best-selling Liquid & Powder products and service essentials. Creates up to 30 customized nail enhancement services in an array of colors and designs. 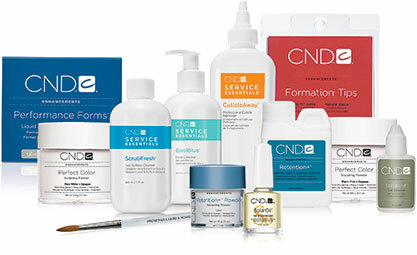 CND® Liquid & Powder Kits are a great way to sample the system at a special value price. The RETENTION+® basics provides essential products needed to create up to 20 sets of exceptional Liquid & Powder enhancements in the salon. The Liquid & Powder System is a collection of our best-selling Liquid & Powder products and service essentials.. The Liquid & Powder Sculpt and Design Collection is a collection of award-winning CND® Liquid & Powder products and tools essential to creative beautiful, long-lasting nail enhancements. This kit yields up to 30 services and is recommended for those who have mastered basic liquid and powder skills and are ready to offer a full menu of liquid and powder enhancement salon services.